More Effective At Stopping Noise! Installed within an hour to existing windows and doors. 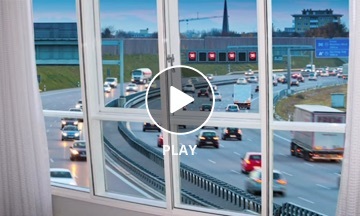 Watch & listen to this amazing demonstration showing how effective the Stop Noise Add On Double Glazing solution is at blocking out noise. Stop Noise specialize in soundproofing your existing windows and doors to achieve a noise reduction of between 50-70%. The Stop Noise Secondary Glazing system is equally as good as replacement doubleglazed windows for improving the insulation of your windows and doors. 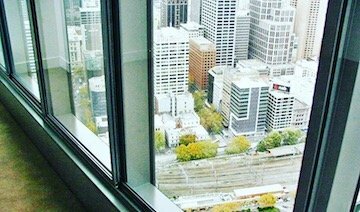 Windows & Door Soundproofing specialists, Stop Noise provide not only soundproofing but also insulation solutions across all suburbs of Melbourne and rural Victoria. Therefore, when it comes to soundproof windows in our region, there is only one name to trust. Stop Noise the soundproofing specialists. 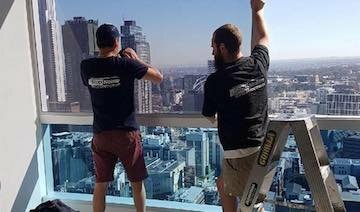 Stop Noise is proudly Australian made & a family owned business, promoting our soundproofing window product. Our factory can deliver soundproof windows to a wide variety of locations. These include Melbourne, Geelong, Ballarat, Bendigo, Sale, Mornington Peninsula and more. Explore the versatility and effectiveness of Stop Noise secondary glazing by visiting our showroom.Where one of our friendly staff can take you through our entire range of made to measure soundproof windows and soundproof doors.